GRAND RAPIDS, MI – Dr. Wolfe will describe recent research on belief change and the extent to which we are aware of changes to our beliefs. A belief is defined as a statement about the truth value of something. Participants rate their beliefs on a subject. Later they read a one-sided text that is either consistent with or inconsistent with those beliefs, then are asked to try and remember how they rated those beliefs earlier. Awareness of belief change is found if subjects change their beliefs as a result of reading, and then can accurately report that they believed something different before the experiment. The researchers also examine individual variation in people’s awareness of their belief changes to see if it relates to performance on other tasks. In particular, is it the case that people who are more aware of changes to their own beliefs are also more willing to seek out new information about the topic, while people who are less aware of their belief changes are less willing to seek out new information? Dr. Wolfe will describe new research on people’s awareness of changes to their health status. Patients who participated in a longitudinal study of bariatric (weight loss) surgery rated their health every year for several years. They also rated how they perceived their health to have changed over the past year. The combination of these ratings makes it possible to examine the accuracy of their perceived changes in their health. Dr. Michael Wolfe is professor of psychology at Grand Valley State University and incoming chair of the Psychology Department. Dr. Wolfe received his PhD in cognitive psychology from the University of Colorado, Boulder, and his undergraduate degree from the University of California, Santa Barbara. Much of his research involves studies on reading comprehension and memory. In recent years, he has studied how and when beliefs may change as a result of reading, and the extent to which people are aware of these changes. He is past Secretary of the Society for Text and Discourse, and a current Governing Board member. He also serves on the editorial board of the journal Discourse Processes. This event is FREE and open to the public. Suggested donation of $5. For more details, directions, and to learn about CFI Michigan, visit cfimichigan.org.  Center for Inquiry (CFI) Michigan is an Educational 501(c)3 Nonprofit that promotes and defends reason, science and freedom of inquiry in all areas of human endeavor. www.cfimichigan.org.